The young guns are getting ready for the opportunity of a lifetime at the Red Bull Youth America's Cup. 10 international teams of youth sailors, representing 8 countries will be on the starting line on September 1 in San Francisco. At stake is more than just the newly minted Red Bull Youth America's Cup trophy. 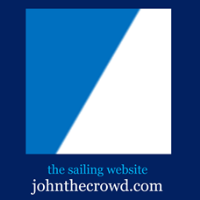 This is a pathway for young sailors into the America's Cup. . . .
A 20th place in the penultimate race of the BMW J24 World Championships cost series leader Travis Odenbach from Rochester dearly as fellow American Tim Healy emerged victorious at Howth YC. At Sail-World Cruising we have often told of the idyllic times that cruising sailors have in the cruising grounds of the world. However, sometimes things don't go so swimmingly, and it's even worse if you are cruising remotely, away from any kind of help. DORSET youngsters got the chance to swap studying for sails with an adventure aboard the Tall Ship Pelican. Around 26 young people from across the county, aged 16 to 25, took part in the exchange trip to see Sherborne's French twin town of Granville. RBYAC: Game On - YouTube: "The young guns are getting ready for the opportunity of a lifetime at the Red Bull Youth America's Cup. 10 international teams of youth sailors, representing 8 countries will be on the starting line on September 1 in San Francisco. At stake is more than just the newly minted Red Bull Youth America's Cup trophy. This is a pathway for young sailors into the America's Cup. The stage is set. The preparation and training is finished. Now the sailors have to perform." Red Bull Youth America's Cup opening press conference. 10 international teams ready to soar at the Red Bull Youth America’s Cup / America’s Cup: "Fast facts about the Red Bull Youth America’s Cup: The Red Bull Youth America’s Cup runs from September 1-4 and is based out of the America’s Cup Village at Marina Green. The format is fleet racing – 2 races per day, for an 8 race series, with racing beginning at 11:10am each day. The final race will carry double-points. The boats are AC45 catamarans powered by giant wing sails – the same boats used by the America’s Cup teams in the AC World Series from 2011-2013. Teams are composed of six sailors, aged 19-24, who represent their country through a nationality rule." The Augmented Reality America’s Cup - IEEE Spectrum: "....sailboat racing is as thrilling, dynamic, and suspenseful as any sport around—if you’re down there on the water with the boats, that is. And starting with the 2013 America’s Cup, to be held this month in San Francisco, you will be there, virtually speaking. You’ll be able to monitor the events live on TV and on your mobile devices. You’ll see the spray flying off the bow of a big racing catamaran as its crew scrambles to make high-speed maneuvers in a stiff wind. You’ll see the world’s top sailors grappling to control powerful vessels driven by sail-like vertical wings, 12 stories high. You’ll also see perspectives and information never before available to spectators: the tracks of the boats through the water, course boundaries, penalties issued, wind direction, speed, and other things that significantly affect the outcome of the race../Automatic tracking systems on each yacht will constantly feed position data to high-performance PCs on shore....."
The America's Cup is a Match Race -- 2 boats and only one winner, there is no "second" -- Queen Victoria, who was watching at the finish line of the first America's Cup in 1851, was reported to have asked who was second, the famous answer being: "Ah, Your Majesty, there is no second." This year the winner will either be Oracle Team USA (the "defender") or Emirates Team New Zealand a/k/a the "Kiwis" (the "challenger"). Racing starts Saturday, September 7th. Experts foresee good matchup for America's Cup - SFGate: "As Gary Jobson sees it, the Kiwis are like "a well-choreographed Broadway show" and the Oracle sailors are "still auditioning." He also thinks the Emirates Team New Zealand crew might have an edge in motivation. Unlike the Oracle guys, they're sailing for their country. As Nathan Outteridge sees it, Oracle has a slight speed edge upwind. The key will be not just getting to the first mark first but leading at the bottom, or second mark. "That's probably going to determine the race," he said. Jobson and Outteridge are expert commentators on the TV coverage of the America's Cup regatta, the experienced Jobson handling the in-race analysis and the newcomer Outteridge providing postrace commentary. Both say it's difficult to predict the outcome of the finals - a welcome case after the tedious predictability of the first seven weeks of the regatta...."
AC Explore: Boat Building video above - In collaboration with the Exploratorium, the America's Cup is 'exploring' aspects of the history and science behind the America's Cup boats and technology, using exhibits both on site at the America's Cup Park and at the Exploratorium and by speaking with experts from the Exploratorium and the America's Cup teams. This video explores boat building. 30th anniversary Louis Vuitton Cup highlights - all the best video - Emirates Team New Zealand defeated Italy's Luna Rossa Challenge and Sweden's Artemis Racing to win the 30th anniversary Louis Vuitton Cup. Ninth fittest woman in the world, sailor Anna Tunnicliffe takes on Red Bull's strongest sailor - The ninth fittest woman in world, Olympic sailing champion and cross fit enthusiast Anna Tunnicliffe, takes on the Red Bull Sailing Team bowman and match racing World Champion Graeme Spence in the DoomBar rowing challenge. America's Cup pits U.S., New Zealand with San Francisco as backdrop - latimes.com: "The newly designed AC72 catamarans have the ability to hydrofoil, meaning when the boat reaches a certain speed, the hydrofoils generate enough lift for the two hulls to clear the water and glide just on the foils that are under the boat. This means reduced hull drag and increased speed. Spectators will be able to watch the boats “fly” during the races. This also marks the first time the America’s Cup racing is inshore rather than offshore. The race course is within the confines of the San Francisco Bay instead of being three miles off-shore as it has been in the past, allowing spectators to see the race much more closely than before, so much so that sailors can hear the cheering crowd. For those interested in experiencing the America’s Cup, Piers 27/29 along San Francisco’s Embarcadero have been transformed into America’s Cup Park for the summer...."
Sailing on caffeine - Viva Magazine - NZ Herald News: "Nespresso says it has chosen to support the sport of sailing as it offers a prestigious image, international scope providing multifaceted opportunities for brand exposure and a unique way to experience the brand. "Coffee and sailing are both very close to Kiwis' hearts and we are proud to be supporting such an event," says Guillaume Chesneau, country manager Nespresso New Zealand. "The America's Cup has been a high priority for us for over two and a half years now. It is very close to my heart."" Sailing in Marin: Sausalito's 86-year-old still going strong in Knarr competition - Marin Independent Journal: The Knarr is a unique boat — and fleet — for many reasons, all of which have kept the intrigue for Wibroe as fresh as the day he first sailed one. Full-keeled and very heavy, the boats are 30-feet long and sailed with a main and jib, no spinnaker. There's nothing high performance about them — they're a 70-year-old classic design, all built in Scandinavia. As old and slow as they are, the local fleet numbers some 42 boats, the largest on the bay after the J/105s, with up to 24 frequently on the start line. Wibroe tends to think they're also the most fair fleet racing. . . .
Did Oracle Team USA cheat in the America’s Cup? Did Larry Ellison cheat in the America’s Cup? : " . . . a cheating scandal that threatens to blacken the reputation of Oracle and several of the biggest names in yacht racing, and could make it harder for the American team to hang on to the 162-year-old trophy. An international jury of five sailing experts has been trying to determine exactly how three Oracle catamarans competing in preliminary regattas known as the America's Cup World Series came to be altered with heavier fittings and illegal lead and resin hidden in their frames. The jury will hold a hearing on Thursday in San Francisco, and is expected to rule shortly thereafter on whether individual Oracle team members have engaged in "gross misconduct" and whether the team as a whole has brought disrepute to the event. . . ."
Young guns fired up for the Red Bull Youth America’s Cup / America’s Cup: "With the September Showdown between ORACLE TEAM USA and Emirates Team New Zealand now set, attention turns to the 10 Red Bull Youth America’s Cup teams who are hard at work with final training ahead of their racing, September 1-4. The Red Bull Youth America’s Cup features 10 of the best young sailing teams on the planet competing in a fleet race series on the same AC45 wing sail catamarans the America’s Cup teams used over the past two years. . ."
Louis Vuitton Pop-up Store - AC UNCUT's Genny Tulloch takes a special tour of the Louis Vuitton pop-up store at AC Park in San Francisco. IFDS Worlds Kinsale: Ricky Doerr (Sonar) - IFDS Worlds Kinsale: Ricky Doerr (Sonar) - Aug 27, 2013 Ricky discusses his campaign methodology, domestic training, boat tuning efforts, past worlds' successes and his pre-event mentality. I was invited to watch the final day of the Audi Megles 20 U.S. National Championships on Lake Michigan. Given my lack of understanding about how sailing competitions work, curiosity got the best of me and I jumped on a boat with other media members. Hayama, Japan, Tuesday, August 27, 2013 – Singapore's junior sailors opened this year's Asian Optimist Championships with a resounding victory in the Team Racing event. Both Singapore teams made it to the final to ensure a 1-2 finish on the podium. Emirates Team New Zealand eyes ‘September Showdown’ as Luna Rossa bows out / America’s Cup: " . . . The Kiwis will put their AC72 into the boatshed for a few days of modifications in preparation for the “September Showdown” in the 34th America’s Cup against ORACLE TEAM USA. The racing begins Sept. 7, but before then Emirates Team New Zealand and Luna Rossa will renew acquaintances when the Italian team becomes a sparring partner for the Kiwis. . . ."
America's Cup: Emirates Team New Zealand advances to face Oracle - San Jose Mercury News: "But the big question remains: Can the New Zealand team, funded by the government, an airline and other corporate sponsors, beat the Oracle Team USA powerhouse owned by billionaire Larry Ellison? "The bottom line is nobody in the know knows," said John Bertrand, the Australian who broke the Americans' 132-year hold on the America's Cup when his Austrailia II team beat Dennis Conner's Liberty in 1983. "The next two weeks could be the decider in terms of development. Every time (the teams) go out, they get faster. They improved in speed by 30 percent since they were first launched."" Emirates Team New Zealand wins second consecutive Louis Vuitton Cup / America’s Cup: "Emirates Team New Zealand won the 30th anniversary Louis Vuitton Cup with a 3:20 victory over Italy’s Luna Rossa Challenge in the eighth and deciding race. The Kiwis, who beat Luna Rossa in the previous Louis Vuitton Cup in 2007, won the series 7-1. The victory makes Emirates Team New Zealand the official challenger to ORACLE TEAM USA for the 34th America’s Cup in the “September Showdown” beginning Sept. 7. It’s the fifth time in the past six America’s Cup Matches that the Kiwis will be a contestant in the match. . . ."
Go faster foils are set to become a feature of the Extreme Sailing Series after organisers said they were exploring developments in the America's Cup in San Francisco. America’s Cup: Emirates Team New Zealand needs one more victory to close out the 30th anniversary Louis Vuitton Cup. The Kiwis won Race 7 Saturday by 1:58 over Luna Rossa Challenge and lead the series 6-1. During the race Emirates Team New Zealand set a new Louis Vuitton Cup speed record of 47.18 knots at the third mark rounding. That’s 54 mph, or 79 feet per second! The Kiwis’ previous record was 44.15 knots. Luna Rossa also set a personal best of 43.46 knots/50 mph. Race scheduled for Sunday at 4:10 pm EDT (US). Live coverage here. Men Overboard | Our Town | Chicago Reader: ".... Last summer Podmajersky made the biggest win of his sailing career, skippering his Mumm 30 sailboat, the Illusion, to victory in the Chicago Yacht Club's Race to Mackinac. The 333-mile race, first run in 1898, is one of sailing's most prestigious amateur contests and the longest annual freshwater race in the world; about 300 boats entered in four divisions last year. But now, as Podmajersky should be preparing to defend his title, the sailing world has turned against him. He's suing one of his crew members for more than a million dollars, and it's possible that as a result he will be banned from this year's race...."
Some of the younger members having a most enjoyable day's sailing were reluctant to return to the shore when it was time to close down. Hot dog refreshments were enjoyed during the afternoon and a treasure hunt for the children was concluded with prizes. FIREBALL Race 2- 1. Blind Squirrel (Frank Miller), 2. No Name (B McGuire), 3. Licence to Thrill (Louis Smyth). FIREBALL Race 1- 1. Licence to Thrill (Louis Smyth), 2. No Name (B McGuire), 3. Blind Squirrel (Frank Miller). FLYING FIFTEEN Race 1- 1. Sailing Yachts. Rankings and Reviews of Best Luxury Sailing Yachts: "Sailing Yachts. Best Luxury Sailing Yachts - August 2013 "
Emirates Team New Zealand captures two, leads Louis Vuitton Cup Final 4-1 / America’s Cup: "Upcoming Louis Vuitton Cup Final schedule (best-of-13 series) Friday, Aug. 23: Final Race 6 (1:10 pm PT) Saturday, Aug. 24: Final Race 7 (1:10 pm PT), Final Race 8 (2:10 pm PT) Sunday, Aug. 25: Final Race 9* (1:10 pm PT), Final Race 10* (2:10 pm PT) (* If necessary)"
America's Cup: Sailors join Oracle 'cheating' drama - Sport - NZ Herald News: "The picture is beginning to firm - it now appears two members of Oracle Team USA's sailing crew are involved in the cheating allegations disrupting the 34th America's Cup." The Top Yacht in the Bay Fleet was "General Khaos" (Ian Jakeways) and in the Carrick Fleet was "Haggis" the Cornish shrimper sailed by Mark Peek from Rock. The Dinghy top boat was the "49er" of Christopher Thomas of St. Mawes Sailing Club. Michigan Collects Use Tax On Illinois Resident's Rhode Island Yacht - Forbes: "It looks like John Podmajersky will be paying the State of Michigan nearly $100,000 in use tax on his 65 foot yacht, the Laughing Dolphin, based on this decision of the Court of Appeals...."
Update: Emirates Team New Zealand captures two, leads Louis Vuitton Cup Final 4-1 / America’s Cup: "Emirates Team New Zealand took two more steps towards winning its second consecutive Louis Vuitton Cup by winning Races 4 and 5 .. . . The winner of the America’s Cup Challenger Series (best of 13) advances to meet defender ORACLE TEAM USA in the 34th America’s Cup Match next month. A beautiful day on San Francisco Bay saw winds between 12 and 17 knots and plentiful sunshine. Both races started as scheduled and both crews completed the course without incident. Luna Rossa had some shining moments, particularly in the second race, but Emirates Team New Zealand is just too fast." In collaboration with the Exploratorium, the America's cup is 'exploring' aspects of the history and science behind the America's Cup boats and technology, using exhibits both on site at the America's Cup Park and at the Exploratorium and by speaking with experts from the Exploratorium and the America's Cup teams. This video explores the History of Sailing, specifically wing sails. Insider Tips For Traveling To The America's Cup - Forbes: "With the Golden Gate and Bay bridges rising from it, bustling piers punctuating it and the hills of Marin County framing it, San Francisco Bay needs little more to embellish its views. But the city’s so-called Summer of Racing, which kicked off with a July 4 opening ceremony and culminates with the America’s Cup from Sept. 7 to 21, adds the world’s fastest sailboats to the already stunning tableau, making it an ideal time to visit San Francisco. . . ."
Will Larry Ellison's Ego Capsize the America's Cup? | Mother Jones: "Up close, the boat is an immaculate carbon-fiber spectacle, a marvel of engineering. Even while doing its victory lap past the spectators, it's impossibly fast. The waving crew is tiny compared to the "Fly Emirates" ad prominently displayed on the boat's 130-foot-tall sail—since each team spent around $8 million to build its boat, it's financially necessary to deck them out like NASCAR racers. The sailors wear body armor and carry ropes, knives, a water-activated strobe light, and small bottles of air good for a few breaths in case a boat capsizes and they are trapped underneath." Love, sailing & photos - Daily Pilot: " . . . . For the past 28 years, she's been on her boat, "Valentine." She named it such because her birthday falls on Feb. 14, Valentine's Day. When she's not behind the camera, you can find her on "Valentine." And sometimes she's on there with her all-women crew that has competed and won their fair share of races throughout the years. The women are her friends. Carolyn Di Orio, Pat Vrannicar, Linda Rasner and Jill Golden of the BYC are among them who compete with Longpre, as are Cheryl Lawlor and Shannon Carr. "I have a real passion for it," Longpre said of racing and sailing. "I just love being out there." Her husband will always be a sailor, but he no longer races. "There's enough competition for him in the business world," she said of her husband who manages a car dealership in Westminster. . . ."
Connecticut legislator upset Amistad sailing during hurricane season. The Amistad makes its way into New Haven Harbor with the New Haven Lighthouse in the distance, a year to the day since it left for its tour around the world. Peter Casolino/Register. Cardiff Harbour Festival hosts Extreme Sailing Series (video above) - A number of high profile crew changes and two additional team entries for the Extreme Sailing Series™ Cardiff presented by Land Rover, sees the Act shaping up to be one of the most closely contested of the Series to date, as the fleet prepare for four days of Stadium Racing hosted by the Cardiff Harbour Festival, over the UK Bank Holiday weekend, 23-26 August. Emirates Team New Zealand now leads Louis Vuitton Cup finals 2-1, as Luna Rossa Challenge suffer equipment problem (apparently a breakdown on the control arm of the wing sail) in Race 3. Race 4 postponed due to excessive wind. Next races scheduled for Wednesday, August 21, 2013. Race 2 video highlights below. With less than one week to go until the Extreme Sailing Series™ returns to UK shores in Cardiff, where it will be hosted by the Cardiff Harbour Festival, Series Main Partner Land Rover has announced its support of the home team: 'Team Wales Land Rover'. The defending World Champions from the December 2011/January 2012 regatta in Mandurah, Western Australia, Tom Gillard and Sam Brearey, have split for the Slovenia event with Tom sailing with Simon Potts and Sam sailing with Christian Birrell.